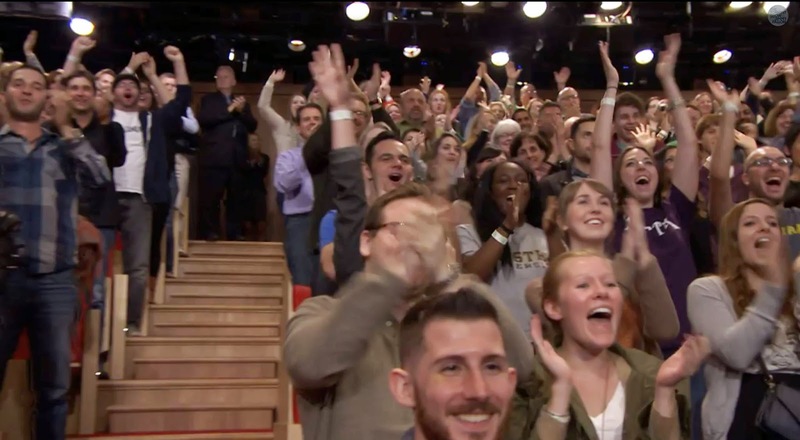 Hofstra Pride Guides: The Tonight Show with Jimmy Fallon.. and Pride Guides! The Tonight Show with Jimmy Fallon.. and Pride Guides! Looking for something fun to do? With NYC just around the corner, there’s always an adventure! 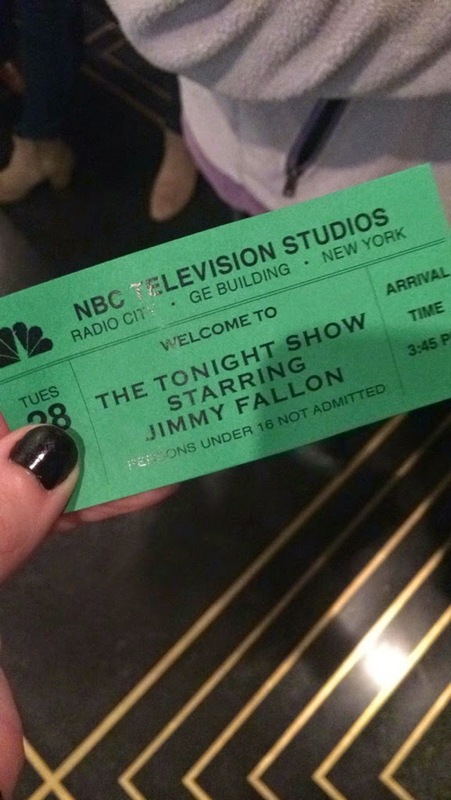 This Tuesday, a few Pride Guides were lucky enough to get tickets to The Tonight Show with Jimmy Fallon. Casey filled us in on their great time in the city. We had a little competition in the office to see if any of us could actually get the tickets through The Tonight Show lottery. When the tickets went live for October, IT WAS ON! Lucky for all four of us, Tanner got the tickets and we were going to see Jimmy Fallon! At noon on Tuesday we put on our Hofstra t-shirts and hopped on the Long Island Rail Road to go to the city. We went through the whole process of getting our tickets and waiting in lines, and we finally got to the studio. Unfortunately you have to turn your phone completely off before entering the room, but it was incredible! Not only was it super cool just to be there, but we also got to see Daniel Radcliffe, Mike Tyson, AND surprise guest Jake Gyllenhaal! Yes folks, we got to see Daniel Radcliffe do his rad rap live! You can actually see us in the audience pan at the end of the song! Keep an eye out for our Hofstra shirts!